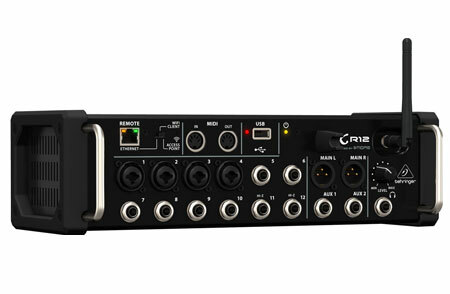 The BEHRINGER X32 completely changed the game by rethinking what is possible from a digital mixer — and over 100,000 users are enjoying the results. 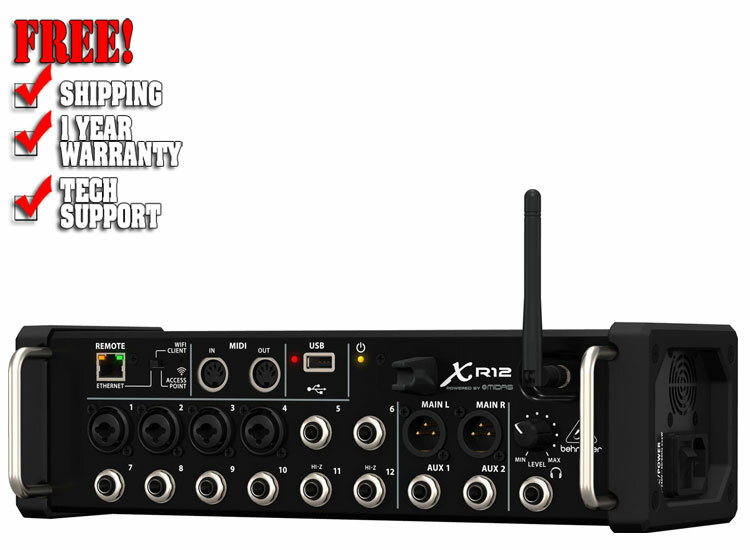 Now, that same incredible technology has been incorporated into a small, but incredibly powerful, rack-mountable mixer that will forever change both the way you record — and the way you play live music. The freedom to move around and manipulate all parameters of your mix with the free iOS and PC apps lets you dial in the perfect sound from anywhere in the venue — or the tracking room! Advanced engineering and meticulous design deliver stellar sonic performance at an extremely affordable price — changing the game once again. 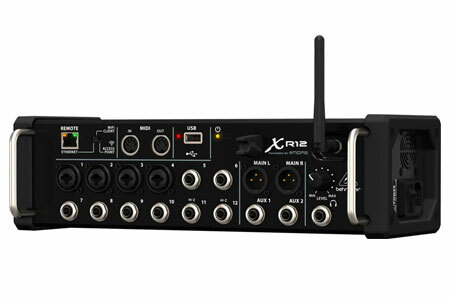 Designed for the ultimate in mobility, the XR12 comes with an integrated Wifi module for direct control of your mixer's functions — without the need to setup and configure an external router. 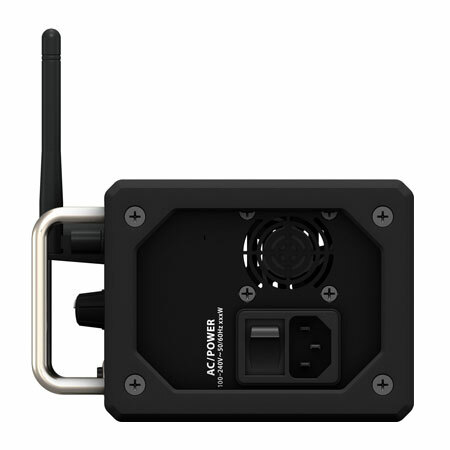 The XR12 gives you the freedom to focus on your mix, while allowing you to move about the venue to experience what every part of the audience is hearing. Plus you can adjust live monitor wedges from the artist's perspective — or better yet, let them mix their own IEMs and floor monitors via their own tablets. Whether you're making rock history in the studio, or you want to capture intimate live performances — it's never been easier to record stunning tracks with exceptional clarity. When your application calls for a multiple-microphone setup, such as an onstage panel discussion, press conference or courtroom proceeding, etc., it can become a challenge to maintain so many open mics — and preserve maximum gain and priority for the moderator. A major first for compact audio mixers, our revolutionary X AIR Gain Sharing technology can easily manage fully automated mixes with several live microphones. 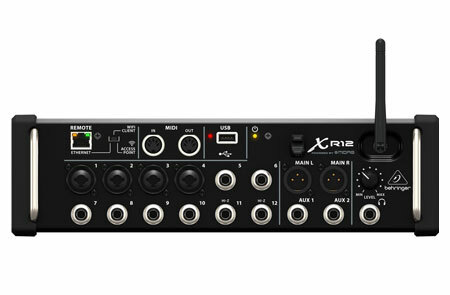 Based on the legendary Dan Dugan automix system, the XR12's gain sharing paradigm automatically controls the levels of all selected microphones in real time, without any gating artifacts or noise modulation. 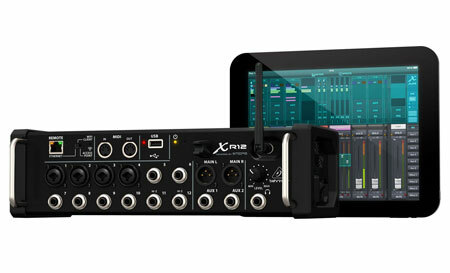 Equipped with the very same FX engines as the now legendary X32 Digital Mixing Console, the onboard virtual FX Rack provides access to four true-stereo (8 mono), multi-effects processors including delay, chorus, dynamics — plus the XR12 can run production-quality, true-stereo reverbs concurrently with 31-band EQ on the main and aux buses, all without the need for any additional hardware. You can select any combination of high-end simulations of legendary studio effects, such as the Lexicon 480L and PCM70, as well as the EMT250 and Quantec QRS reverbs. Onboard processing means your computer doesn't have to do the heavy lifting during a mixing session with DAW plugins as the XR12 has a whole studio of FX under it's hood.